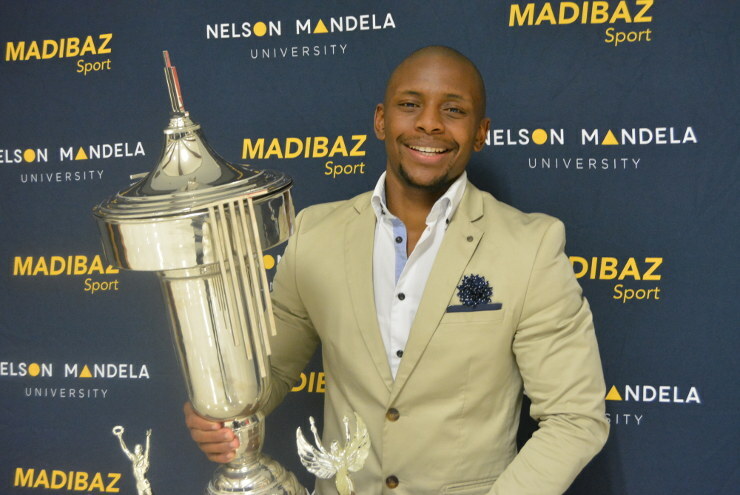 Nelson Mandela University karate ace Gcobani Maxama said it was a dream come true when he was named the Madibaz Sportsman of the Year at last week’s gala awards function in Port Elizabeth. The 27-year-old student, who is doing his postgraduate diploma in internal auditing, continued a strong family tradition in the sport by being crowned the All-Africa champion this year. Introduced to the sport by his father, sensei Zolile Maxama, Gcobani followed in the footsteps of his brother Lwazi Finca, who was an instructor (sensei) at Mandela University from 2007 to 2009. Gcobani, who is also a sensei, said his brother had inspired him to achieve as much as he could. “He was a student at Madibaz and he said to me if he did not win the Sportsman of the Year award in his time then it would be up to me to do it and to make our family proud,” he recalled. There was further recognition for Maxama on the night when he received the Student Coach of the Year and Sports Personality of the Year awards. “I lost my first fight of my first tournament and then I lost the second fight of my second event. But to me that was progress. He paid tribute to two men who have played critical roles in his development.